I downloaded Flowers in my window. It is quite unique. Thanks for sharing your talent. “Pattern designed by Cindy Carter’ in the label . Cindy, your website is so delicious. thanks for all the free patterns. It is now one of my favorites. 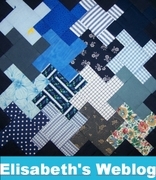 Have not seen a newsletter for awhile…hope you are OK…loved your talk at Eastside Quilters….am hoping to get you booked for Stray Threads in Woodinville too…. 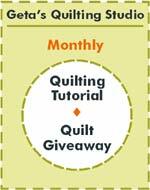 Hi Cindy Came across your site thru the quiltingboard. Thanks so much for all the free patterns. That’s very generous of you. I love you site. Thank you so much for all the patters!! I am self taught and love to get new ideas. I travel to the Seattle area often . My daughter lives in Bellvue,Wa. I found the best quilt shop in Bothel. It is Keepsake Cottage. One of the owners comes from my area, here in northern Ca. Would you be so kind to let me know if you have a favorite quilt store?